This is Capital Essence’s U.S. Market ETFs Trading Map – SPDRs Sector Report for March 29, 2019. SPDRs Report is the daily, weekly and monthly technical overviews and analysis for major indices, key sectors, commodities ETFs. This information is a comprehensive summary derived from our proprietary trading system. 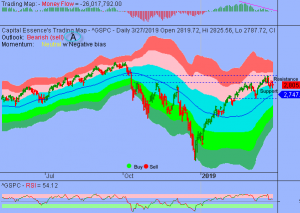 This is Capital Essence’s U.S. Market ETFs Trading Map – SPDRs Sector Report for March 28, 2019. SPDRs Report is the daily, weekly and monthly technical overviews and analysis for major indices, key sectors, commodities ETFs. This information is a comprehensive summary derived from our proprietary trading system.